For anyone interested in a groovy Blues Rock sound and a superbly played Blues guitar, Johnny guitar Watson is a must - a legend who was deservedly honored with a place in the Rhythm'n'Blues Hall of Fame. 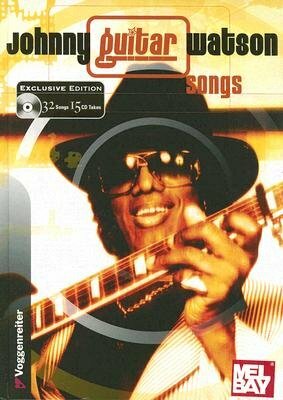 This special songbook, a sensational collection of all his best hits contains 32 songs with notes, lyrics and guitar chords. It was created in close cooperation with Johnny's daughter, Virginia Watson and provides a unique insight into the life and work of Johnny Guitar Watson, with a multitude of photographs and texts. The enclosed CD also contains 15 of his best original top songs like "Superman Lover," "Gangster Of Love" and "A Real Mother For Ya.